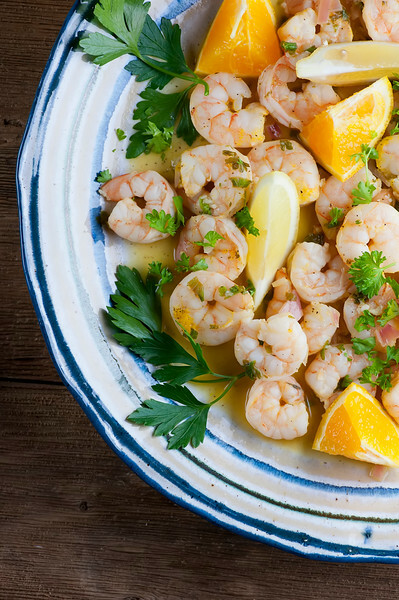 This easy and delicious recipe for citrus shrimp is healthy, refreshing and full of orange and lemon flavor. Perfect for entertaining, and the leftovers make the world’s best lunch! See that platter of citrus shrimp deliciousness? 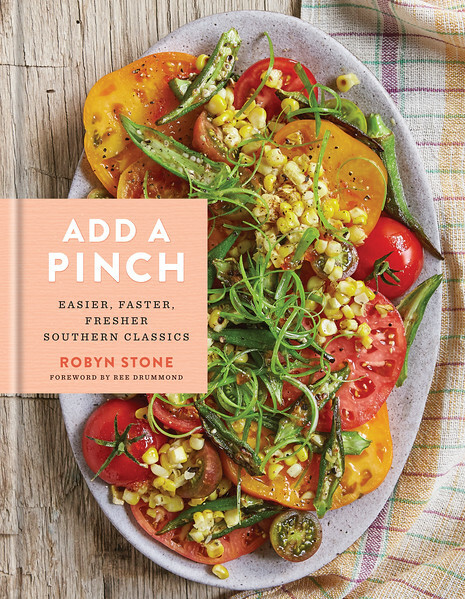 As much as I wish I could claim credit for what is now my absolute favorite summertime shrimp recipe, all of this deliciousness is coming to us from my friend Robyn and her delectable ADD A PINCH cookbook. More below on why this is my current cookbook obsession, but for right now I need to tell you that this is a super quick, super easy, super scrumptious recipe of tropical shrimp heaven. So, if you want to fall head over heels with a perfect shrimp supper AND a fabulous new cookbook, come along with me and let’s make it! First of all, you need to meet my friend Robyn. She writes one of my very favorite recipe and lifestyle blogs, the wonderful Add A Pinch website, and if you haven’t had the chance to visit her site yet you are in for such a treat. It’s full of hundreds of easy, inviting, mouthwatering recipes, many of them with a Southern flair that I adore. As a food blogger myself, I don’t have a lot of time to try all the other wonderful recipes out there in the world, but when it comes to Robyn’s I simply can’t resist. So when I heard that she had gathered up a whole lot of them into a cookbook…well, let’s just say that I have been interspersing my own recipe-writing with cooking my way through what is now my favorite cookbook! 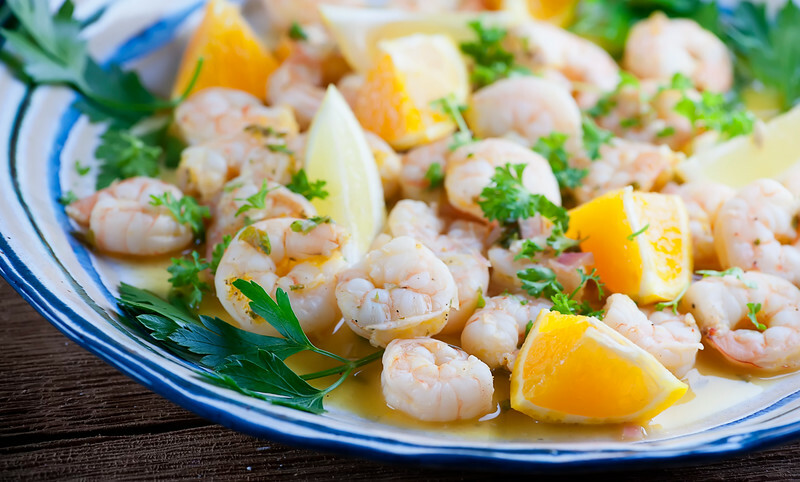 …Robyn’s recipe for citrus shrimp involves simmering up a pile of shrimp in sauce made of orange juice and lemon juice and garlic and YUM. I’ve now learned that it is essential to make a double batch of this so that you have delectable citrus shrimp available in your fridge for lunch the next day. So with love and thanks to one of my very first blogger friends and one of the nicest people I know – here is Robyn’s citrus shrimp recipe. Cook it up and then run to your nearest bookstore and pick up a copy of my new favorite cookbook! In a medium bowl, whisk together the olive oil, orange juice, lemon juice, garlic, onion, 2 teaspoons of the parsley and pepper. Pour the mixture into a large skillet set over medium heat. Bring to a simmer and cook until reduced by half, 5 to 8 minutes. Add the shrimp, cover, and cook until they turn pink, about 5 minutes. Top with the remaining parsley. Serve with the orange and lemon wedges on the side. Recipe reprinted with permission of the wonderful Robyn Stone from her marvelous ADD A PINCH COOKBOOK. You know me and shrimp Kate! I’ll definitely be trying these. This sounds so light and refreshing! Definitely a go-to summer recipe! You will love it, Luci! It’s my new favorite summer shrimp recipe! You are the sweetest friend!!! I’m so happy you enjoy the cookbook – and I’m beyond honored that you have shared such kind thoughts and beautiful photos of the dishes you have made from it! I could dive on into that plate of shrimp it’s so gorgeous – and citrusy perfect for summer suppers too!!! Hugs back, my friend! xoxo!